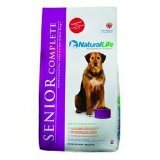 Natural Life Dog Food - Are They Really From Preservatives? Natural life dog foods, as the name indicates, are free from chemicals and harmful preservatives. These dog foods act as storehouses of natural ingredients required to keep your dog healthy and fit. This will assure vitality and long life for your dog. 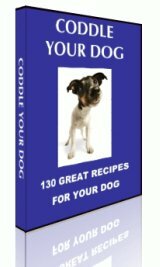 Irrespective of your dog's age and breed, you should have proper knowledge about the food that you feed the dog. The main ingredients of this dog food are rice, chicken, fish meal, carrots, spinach, celery, and fruits like apples and blue berries. They make use of natural antioxidants as preservatives. The greatest specialty of Natural Life dog foods is that they have special products intended for any and every dog. They have introduced canine products catering to puppies, adult dogs, senior dogs, vegetarian dogs, Lamaderm puppies, Lamaderm dogs, Lamaderm low fat dogs and Lamaderm senior dogs. They have also introduced canned dog foods into the canine market. The specialty product that the manufacturer has introduced into the market is the adult vegetarian formula. This is supposed to be 100% nutritional and complete, balanced diet, specially prepared for your adult, non-reproducing dogs. Natural Life dog food manufacturers are sure that they need to be attentive towards the needs of every customer. Some dogs are very sensitive in nature and are prone to developing allergies to food containing meat or meat products. These allergies may sometimes cause adverse reactions on the affected dogs. 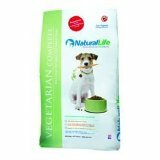 Natural Life dog foods have introduced a vegetarian formula also, suited for such dogs. It provides a healthy and nutritious diet to dogs that have developed meat allergies. The vegetarian formula includes a high proportion of fiber which is ideal for dogs that are overweight, or that suffer from problems like constipation. The high quality fiber contained in the vegetarian formula helps to absorb water, thus allowing proper intestinal motility. This variety includes very low quantities of fat and proteins in it. This comprises a complete, healthy diet for adult, non-reproducing dogs. Even though it does not contain meat in it, the veggie formula is not inferior to any product in taste, and is well accepted by dogs. There are some additional advantages provided by Natural Life dog foods. Most of these products are rich in oatmeal and Omega 3-6 fatty acids. Omega fatty acid is good for a shiny coat. It also helps to ensure a healthy heart. They include components aiding natural healing. These products are fit for dogs that have developed allergies to wheat, soy, yeast, corn or dairy products. So, why not get the very much affordable, nutritious dog food and provide all that your dog needs for its health and long life?